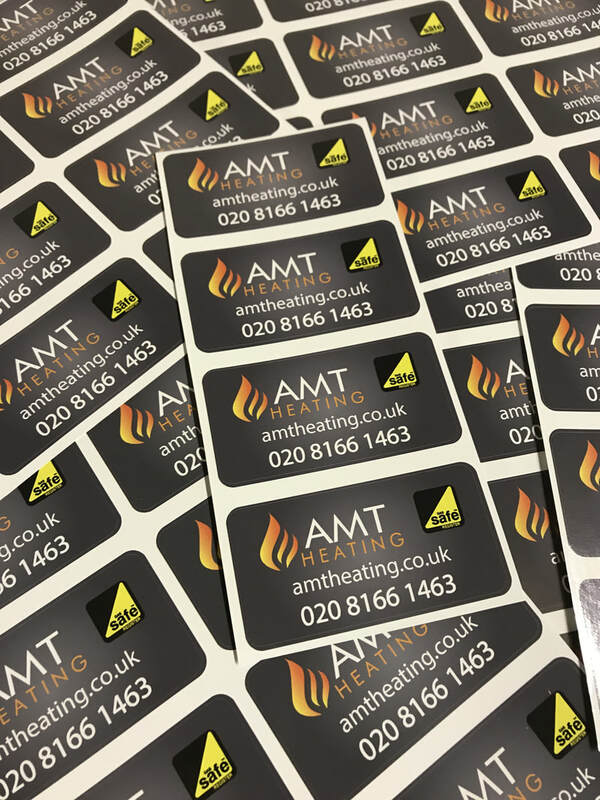 Our custom sticker design & print service gives you individually designed, impactive stickers printed onto high quality vinyl for use in hundreds of applications. We can work with an existing design or create something new for your business specifically tailored to your requirements. 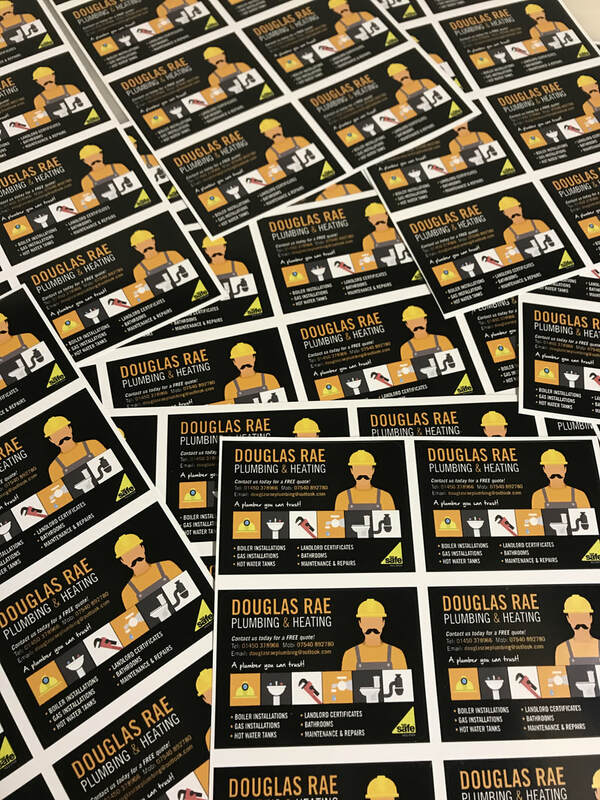 We have produced company logo stickers, service reminder stickers, labels for bottles, jars, boxes, postage labels, sales stickers, installer stickers and many more. 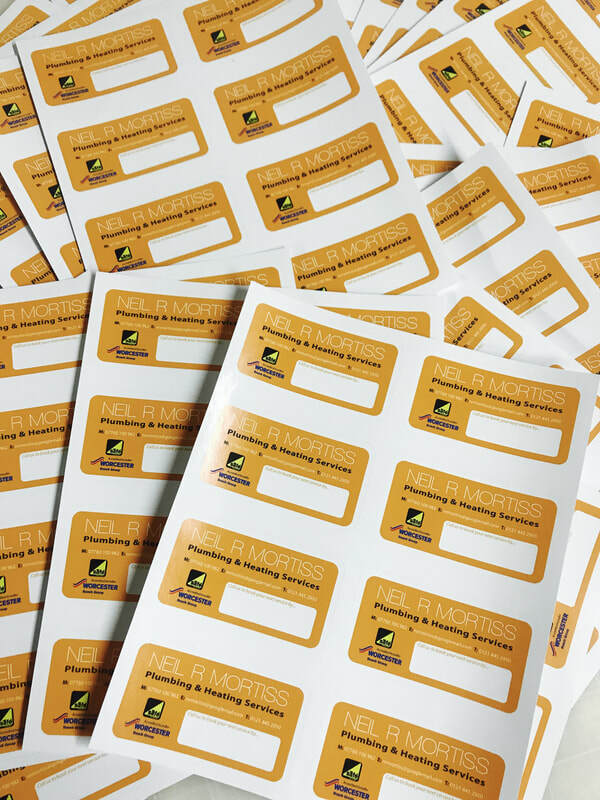 We work with the latest version of Adobe Illustrator to produce a visual proof of the stickers for your approval. 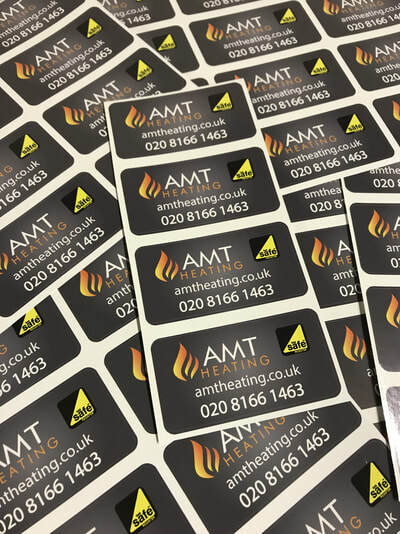 We can at this stage alter, add, remove or tweak any part of the design until you are 100% happy with the finished design. 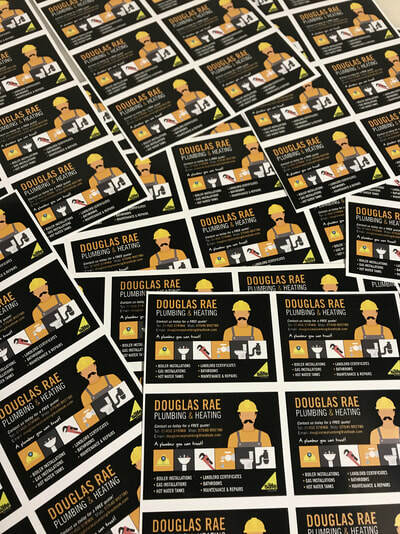 Unlike some companies we have no limit on the amount of times you can alter the design, we want to get it right for you and sometimes you want to see a few variations on a theme before you can decide which one to go for and that's fine by us! 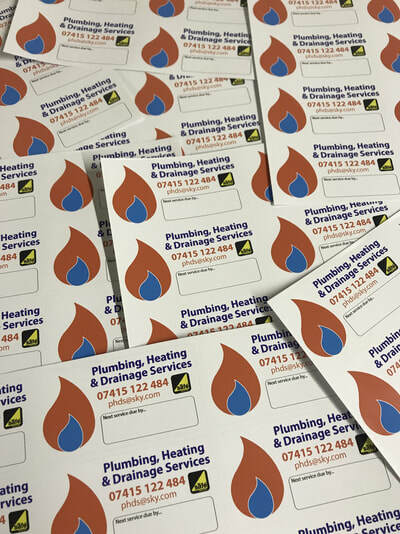 Our state of the art Roland print and cut machine prints in amazingly high quality with vivid colours and a perfect finish. 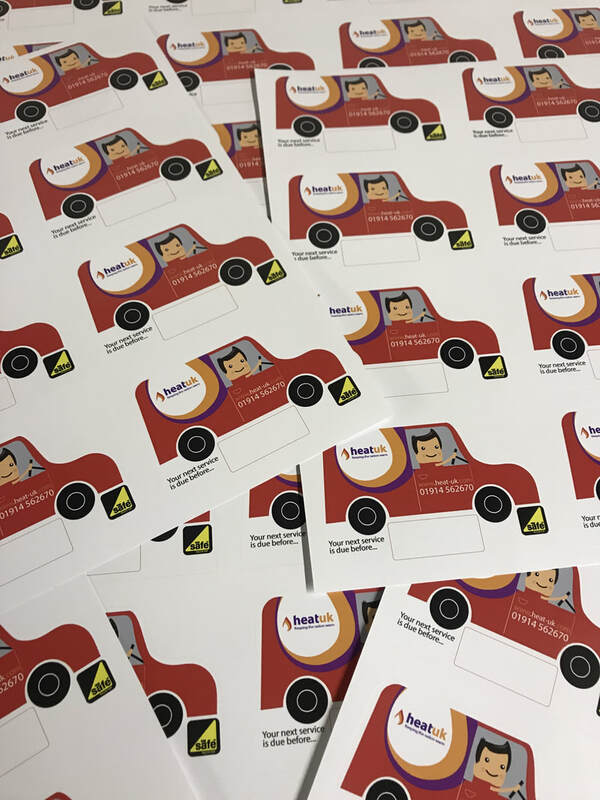 We use the latest version of VersaWorks Dual to send artwork from our design software to the printer, It allows us to manage speed, size and colour flow as well as hundreds of other settings to get the print finish perfect every time. 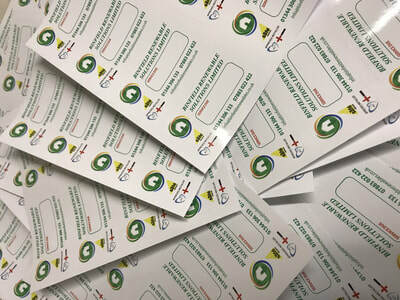 ​The machine then cures the ink with heat and contour cuts the stickers to the specified shape and size. 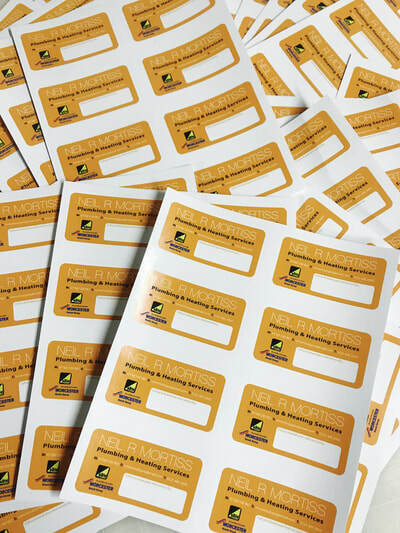 We are then left with a huge sheet of your stickers which need to be cut to size. 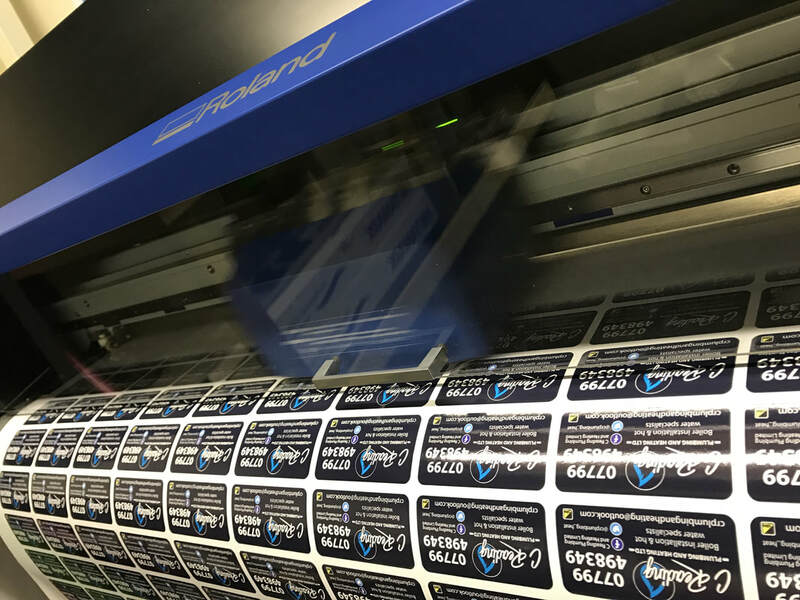 This is a job that we could send back to the machine and it would cut and trim the sheets ready for packaging, however we hand trim each sheet down into smaller sheets for packaging. This may seem a little odd as we have the machinery to do the task in seconds instead of minutes, but what it does allow is for additional quality control. 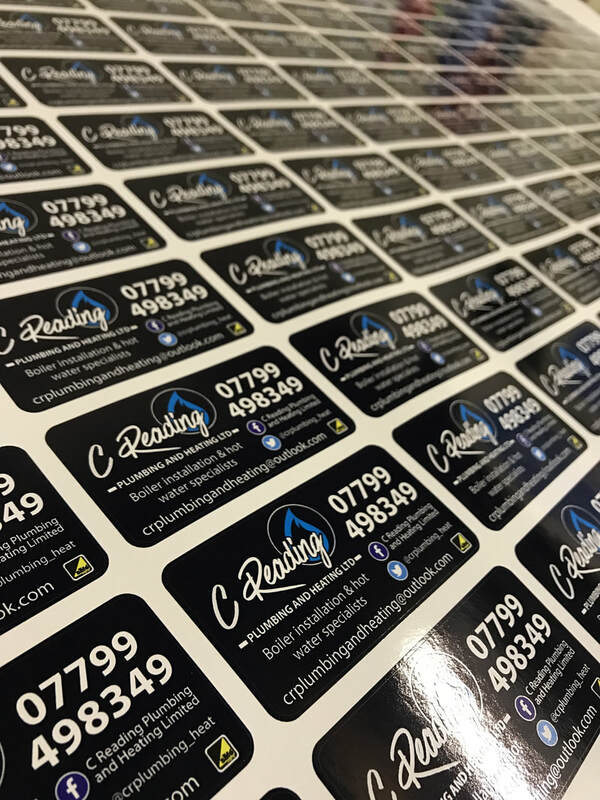 It means that there is an eye cast over every single sticker in the run and this allows us to identify any over bleeds, and slight imperfections or any other issues with the print or material to ensure that these are removed from the run and not passed onto our customers. 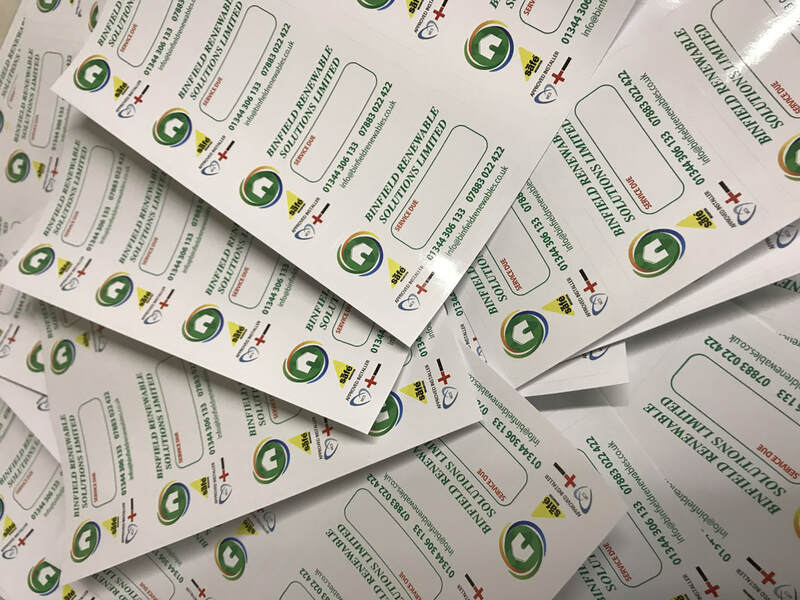 Once the larger sheet is trimmed and the sheets are ready to be sent out, everything is packaged into card backed postage envelopes so they are protected during their journey to the customer. Our default delivery service is Royal Mail first class signed for so stickers are usually received next day but we do also offer upgrades to guaranteed services such as pre 9am next day and pre 1pm next day (for an additional cost). If you'd like to know more about what we are upto you can follow us on Twitter @TheVinylGuys feel free to DM us, email, call or even write (not sure if this is still a thing) if there is anything you'd like to know about printing, design, vehicle wraps, signage or anything connected to our day to day business just let us know, the plan is do do a few of these short articles so let us know what you'd like us to tell you about.